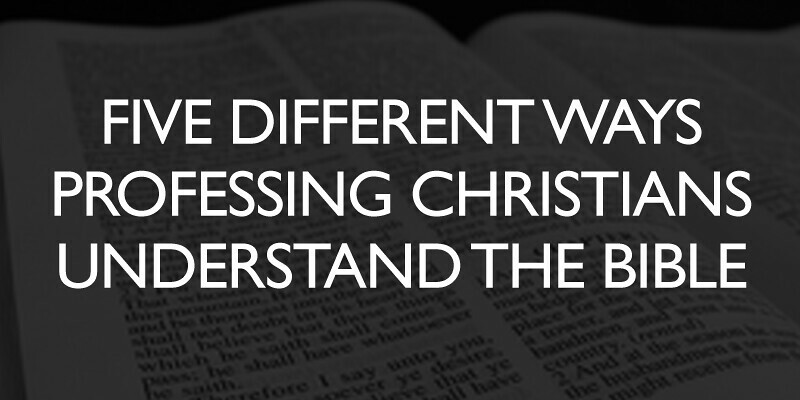 Renowned Old Testament scholar, Dr. Bruce Waltke, in his critically-acclaimed An Old Testament Theology, suggests five different prepositions describing how professing Christian groups understand the Bible. It won’t be surprising, as an evangelical Christian1, that the last view is presented as the one preferred. Still, while admitting the breakdown may represent a “cartoonish presentation” due to its hard distinctions, Waltke hopes these generalizations will help us “recognize and remember the various, and sometimes confusing, approaches ‘Christians’ take to the Bible.”2 Maybe you surprise yourself in seeing where your view of the Bible fits? Makes reason, including experience, the ground floor of theological reflection. Reason is placed above revelation and, as they embrace historical criticism, liberals set another “bible” above the Bible. Liberals read the Bible under the canon3 of skepticism, coherence (only “natural” explanations of biblical events), and analogy (this assumes nothing happened in the past that doesn’t happen in the present). With these assumptions, liberals read the Bible to discover what they believe “actually” happened once they strip away what is believed to be tradition or mythology. The word canon refers to a body of work considered sacred or scriptural. Neoorthodox is a reactionary movement to liberal theology. Theologian Karl Barth represents someone from the neoorthodox tradition.